Is Cannabis Oil an alternative treatment to Chemotherapy? Jun 05, 2018Nikki DsauzaHealthComments Off on Is Cannabis Oil an alternative treatment to Chemotherapy? Marijuana seeds have earned themselves a controversial reputation over the years, for which they are legally banned in many states of the USA. It is treated as a narcotic – a drug that is inherently harmful to anyone who uses it. But the reality might be a bit different. Cannabis seeds have been historically used as a holistic remedial substance for numerous diseases and ailments ever since time immemorial. With the advent of modern pharmaceuticals, the world forgot its uses. But recently there have been many types of research and experiments on the usefulness of the drugs, and it has been found out that the so-called forbidden drugs can be beneficial for many problems, including deadly cancer. Marijuana has long been an unconventional treatment for cancer, but with all the medicinal seeds and hemp oils in the market, it is a more official concept now. Marijuana plant and its oil are useful for some other diseases as well, like glaucoma, arthritis, epilepsy, Alzheimer’s and more. How does cannabis oil treat cancer? There have been numerous experiments in this regard, on laboratory samples of cancerous cells as well as animals like rats and mice. 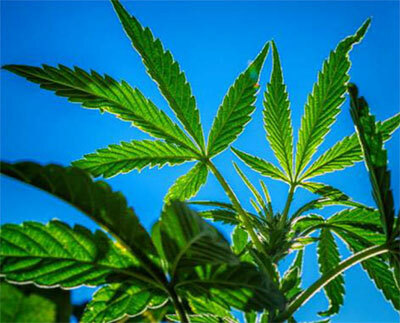 In almost every case, it has been observed that the marijuana extract targets and either kills the cancerous cells or blocks the spread of the tumour and allows he cells to heal. Marijuana also showed no sign of affecting the normal cells of the body, which is a huge development from the usual means of radiation or chemotherapy. Marijuana seeds have a chemical component called THC in them, which is short for tetrahydrocannabinol. Our cells have cannabinoid receptors within them in two types – CB1 and CB2, which latch on to the THC compounds in the cannabis oil. The compounds which work the best are Delta-9-THC and CBD. When exposed to the substances in proper dosage, the normal cells do not react any adversely, but on the contrary, gets calmed and smoothened. The cancerous cells, on the other hand, produce another chemical called the ceramide, which makes the affected cells the main target of the marijuana oil. It triggers a shift in the mitochondria of the cells, which is the energy house of the cells, thus killing them in the process. What are the possible cures available? When the story of a nine-year-old girl called Mykayla went viral, whose parents chose to stick with the herbal treatment with cannabis oil with a marijuana certified physician, her remission was almost immediate. She had a rare case of leukaemia found in children, and this decision apparently saved her life and many painful sessions of chemo. In 2018, she would be spending five years without cancer. Such stories gave people hope about the usefulness of the cannabis seeds in USA. Another man called Rick Simpson, whose name you have probably come across if you are looking up cancer and cannabis, also went through something similar. He was able to cure his skin cancer with marijuana treatment. Rick Simpson’s hemp oil is one of the most popular alternative medicines of cancer found in the market.